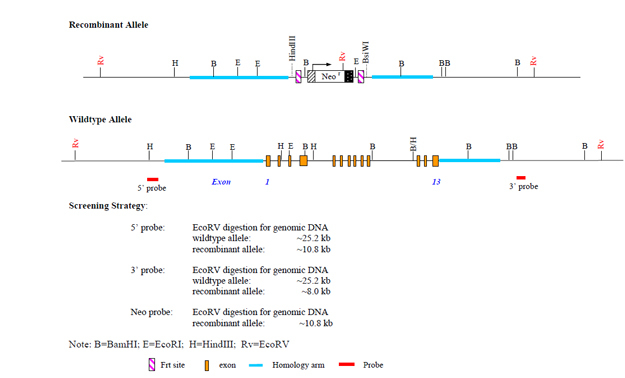 Prkag3 exon 1 contains the translation initiation codon. Exons 1 to 13 have been replaced by the FRT site flanked neomycin resistance gene cassette. Deletion of exons 1 to 13 should result in loss of function of the Prkag3 gene by removing all coding exons.